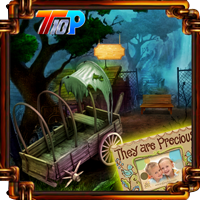 Top10 Find The Precious Photo Frame is another point & click escape game developed by Top10NewGames. Assume that your precious photo frame was hidden by your friend. Now you are going to retrieve it by using a key, objects, hints and by solving puzzles. We hope you will find your precious photo frame. Good luck and have fun! off to work. Hope someone figures all these clues out. Do not understand the arrow clue with the puzzle. I see what's required on the video but I don't know how.